If you’re car shopping in the St. Augustine area, the new vehicle inventory at Lou Sobh's Honda of the Avenues presents a variety of compelling options. We have a wide variety of models in stock, from the popular Honda Accord to the capable Honda CR-V. 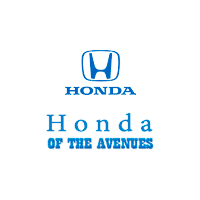 Whether you’re looking for a family-friendly Honda Pilot configuration or a sedan for your Orange Park commute, stop by Lou Sobh's Honda of the Avenues to browse the Honda models for sale in Jacksonville, FL! Why Buy a New Honda at Lou Sobh's Honda of the Avenues? Our entire dealership is standing by to help you find the model that best suits your budget and day-to-day driving needs. It’s their goal to make the car-buying process that much less stressful. Contact us today to get the process started.